Santa Randy is a Premiere Real Bearded Authentic Looking Santa Claus. He is available to hire for the Twin Cities of Minneapolis and St. Paul as well as homes in the surrounding suburbs and cities in Minnesota. 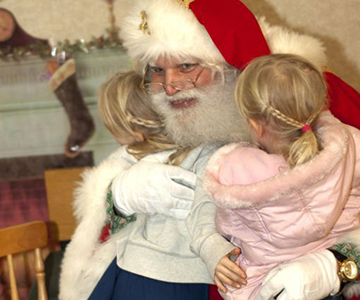 Bring the "Magic of the Season" to your family this holiday season with a visit from a Real Bearded Santa Claus. 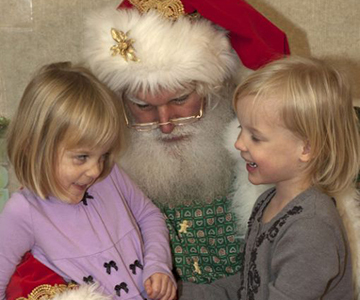 Let Santa Randy show children the "Enchantment of Christmas" with a visit to your home or event gathering. 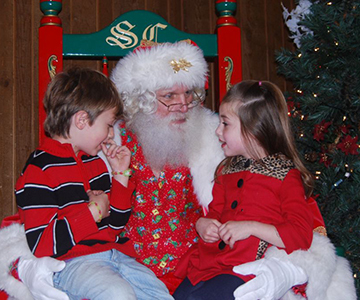 Santa Randy has enthralled children for over 12 years and given countless children that special "Christmas memory" they will never forget. 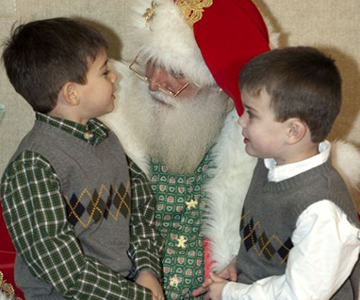 Santa is ready and willing to answer those inquisitive questions children have. Makes “Believers” out of all ages of children. Uses a digital slide show of pictures of his reindeer and stables at the North Pole as well as other props. Shares stories about what is going on at the North Pole with the Elves and Reindeer and Mrs. Claus. Individual attention to all the children no matter the size of the group. 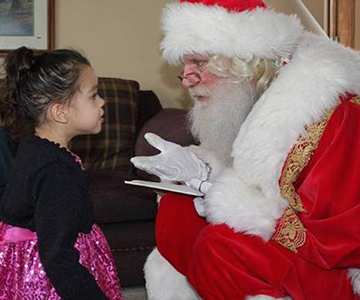 Santa helps you get that special photo to "capture the moment". 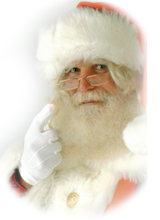 OR CLICK HERE TO REQUEST A VISIT FROM SANTA RANDY! How Tall Are The Elves? How Do You Get Around The World In One Night? 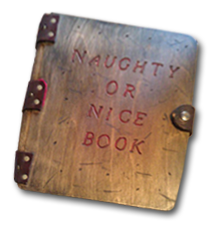 Santa Randy’s "unique specialty" is going to residences to do "Naughty or Nice Checks" where he brings an authentic wooden book with the children’s names listed and details from parents. 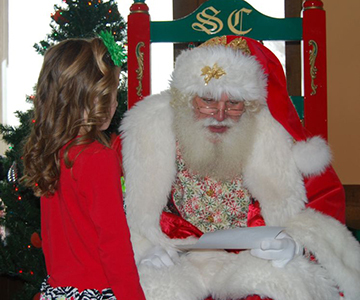 He will chat with the children, ask if they have been naughty or nice this past year and what they might hope to find under the tree. These are usually 30 to 45 minute checks in the early evening. 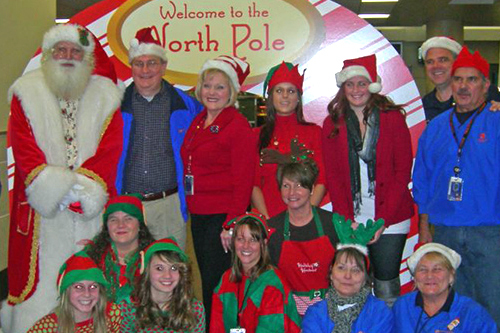 Parents and even grandparents have as much fun as the kids on these visits. It provides wonderful photo opportunities in your home!! 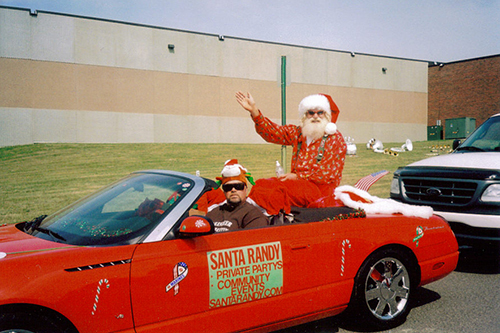 Santa Randy is available for day cares, business events and corporate holiday parties. We will be happy to assist you in making sure your party is a GREAT SUCCESS! I give myself to the less fortunate by volunteering with the various local community organizations and other non-profit children organizations. I am especially involved with Military families where one of the spouses is serving active time abroad. 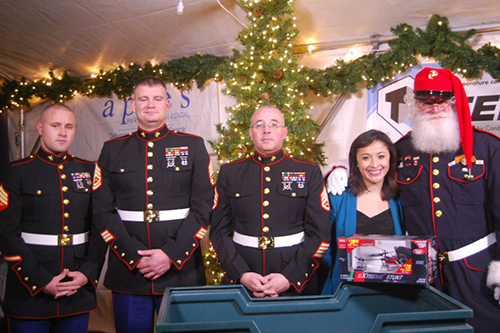 I also volunteer to do Military Base family parties in Honor of my Godson Erik who served in the US Marines. God Bless our service men and women as well as their families! Planning a Corporate Family Party or Special Event? We will be happy to assist you in making sure your party is a GREAT SUCCESS! We have personal connections to one of the most talented professional face painters in the Twin Cities as well as great vendor relationships with an excellent balloon artist and story teller. We can help connect you with Christmas musicians for some background atmosphere that enhances your event! Perhaps you are looking for real reindeer to make an appearance or even a sleigh ride or hay ride with hot chocolate....we can help make arrangements for that also! We even have connections with a superb four star caterer who will put on a full five course meal or just provide melt in your mouth hors d'oeurves. Just let us know what you are looking for and Debra “aka Mrs. C.” will help make it ALL "come together" to ensure your holiday event will long be remembered as the Party of the Year!